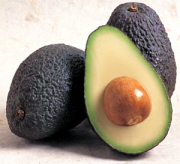 An avocado pear, usually referred to as just avocado, is also known as an alligator pear. It is native to Mexico. It looks like just an ordinary fruit but it, like all fruits and vegetables is loaded with minerals, vitamins and nutrients that are essential for the good health of our bodies. These include Dietary Fiber, Protein, Thiamin, Riboflavin, Niacin, Vitamin B5, Vitamin B6, Folate, Vitamin C, Calcium, Iron, Magnesium, Phosphorus, Potassium, Zinc and a few others. Avocados also qualify to be in the low glycemic diet index list as it only has a GI of 15. Therefore it may be included in snacks for diabetics or even in your diabetic nutrition plan. 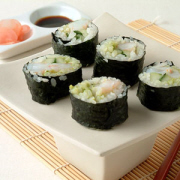 Although the avocado is avoided by many, especially those who want to lose weight due to the fat content. It is important to note that the fat found in avocados is mostly monounsaturated and polyunsaturated fat. This is the good kind of fat. And adding this fruit to your weight loss diet will not affect your plans in any way. In fact, because it is nutrient dense, it will not compromise in any calorie or weight loss. Detour- Nutrient dense foods are those that are rich in nutrients but are low in calories. So what are the health benefits that we can gain from eating avocados? We all know that one of the fruits that are high in potassium are bananas. But did you know that avocados contain about 60% more potassium than bananas. One of the things that potassium does is to help keep our blood pressure levels in the normal ranges. When it comes to their fiber content, they are at the top of the list in the fruits family. Dietary Fiber amongst other things helps us with digestion. The other thing that potassium does in our bodies is that it helps in the prevention of strokes. Other nutrients present in avocados that assist in this as well as in preventing hypertension are Folate and Glutathione. Both Vitamins E and Glutathione found in avocados help in the prevention of cancer. Avocados are cholesterol and sodium free, this means there will be no guilt trips after eating one or two, or three, or a couple! Nutrition facts on avocados show that it also contain another nutrient known as lutein. This nutrients helps in the maintaining of healthy eyes and prevention of eye diseases such as cataract and macular degeneration. Avocado nutrition facts have shown that it's a good source of Vitamin C therefore they help to boost and strengthen our immune system. When you eat avocados with other fruits and vegetables you increase the absorption of phytonutrients found in the fruits and vegetables. Also because of their high potassium content, avocados reduce the risk of kidney stones which also reduces the risk of urinary calcium excretion. 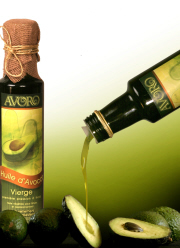 Avocado oil is an effective sunscreen. When it was compared to olive, soy and almond oil it was found to have better penetration through the skin. Not only does it transport valuable nutrients through the outer layer of the skin, but through to the deeper layers too. As we have mentioned earlier, avocados are cholesterol free. Therefore you may consume all you want without going on a guilt trip about it. However because avocados contain a component in them known as betasitosterol, they have the ability to lower LDL cholesterol. LDL cholesterol is the 'bad', harmful type of cholesterol. They also contain Potassium, Folate and Glutathione which also help lower cholesterol levels in our blood. When cholesterol levels are high in our blood stream, they may lead to atherosclerosis or even strokes which may lead to death. Therefore it is important to keep it in check. Pregnancy is one of the most important times in a woman's life. You have another being within you, depending on you for their safety, growth and nutrition. This is why eating healthy is especially important when you are expecting. Your pregnancy diet should include those foods and beverages that promote the healthy development of your baby as well as supplying the right nutrients to you as the mother. Two of the most important minerals or nutrients that you should have as an expecting mother are folic acid (folate) and iron. Why these two in particular you may ask? One of the things that Folic Acid does is that it helps the neural tube to develop properly. The neural tube is the part of the embryo that becomes the brain and the spinal cord. In order to prevent birth defects of the spinal cord such as spina bifida or defects in the skull, it's important the the adequate amount of folate be taken during and even before pregnancy. Avocados are one of the good sources of Folic Acid. Other good sources include spinach, broccoli and citrus fruits such as oranges just to mention a few examples. When it comes to iron, it is that mineral that helps in the formation of red blood cells, which are those cells that transport oxygen throughout the body and the various organs, cells and tissue. When you are pregnant, your body's blood volume increases so the need for iron is also increases. This is also due to the fact that your baby's blood will also be developing, so the demand for iron becomes greater than one who is not expecting. When your iron levels are too low, it means you will not be able to transport enough oxygen throughout your body and most importantly to your baby. This is why Iron is important. Foods that are rich in Iron include legumes, such as beans, liver, dried fruit, meat such as beef, fish and chicken. green leafy vegetables, nuts and eggs. Also, avocados are a source of Vitamin B6 which has been said to help in easing morning sickness. The hass avocado is available all year round. It is one of the most common variety of avocados. It's usually used in salads, dressing and guacamole. Hass avocado nutrition facts have shown that it is a good source of Vitamin C, and an excellent source of dietary fiber. Looking at the nutrition facts of a whole avocado, we see that it's an excellent source of Dietary Fiber, Vitamin K and Folate. It also contains a substantial amount of omega-3 and omega-6 fatty acids which are especially good for the good health of the brain. Once again, in half avocado nutrition facts, Dietary Fiber stands out, providing you with 32% of your recommended daily allowance. It is also a source of protein and Vitamin C.
When considering Florida avocados and their nutrition facts, we see that it also is an excellent source of Dietary Fiber. As well as Vitamin C and Copper. It is also a good source of Vitamin E, Folate, Pantothenic Acid, Magnesium, Potassium and Manganese. Given this information and avocado nutrition facts, you will most definitely want to have one right away, especially if you are an expecting mummy! You will get most of the nutrients you need all in one.